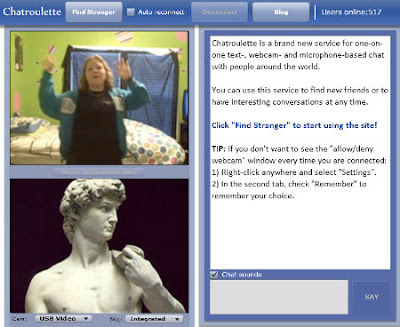 Have any of yall ever tried Chatroulette? I tried it last night and it was so awkward. My "game" lasted for about .5 seconds before I felt too vulnerable and had to close it down. Any good Chatroulette stories out there? Please share!